The Matisse is Portland's South Waterfront's finest apartment community offering studios, 1 and 2 bedroom homes. The Matisse is LEED Gold Certified, a smoke-free community and very pet friendly. Innovative amenities surround you at this beautiful apartment community. The grounds are well kept, the staff are great, and the location is perfect. It's pricey to live in this area, which will turn some people off (maybe this is a good thing). It's an extremely dog-friendly community which is wonderful but it would be better if there was a place where dogs can be off-leash and it's not a hinderance for those who aren't into the dog-apartment life. I'm sure there is something creative out there to try out at the Matisse. I love the apartment and neighborhood. Very clean, safe, and great location. Thank you so much for the positive feedback. We really appreciate you taking the time to let us know how we are doing. Please let us know if there is anything we can do for you. This has been the best apartment experience we have ever had. The staff, the apartment, the community... everything is great. We would love to stay here. If it wasn't for the great location I don't know if I would recommend. There isn't anything that makes this property "special" or sets it apart from other communities. The floors/ceiling are NOT very soundproof, and I can hear my upstairs neighbor walking/stomping around all the time. I'd recommend people find a building that constructed with high quality soundproofing, if they could get it for a similar price. Thank you for your 4 star review! I'm sorry to hear that you have had sound issues in your apartment home. We definitely want all of our residents to be comfortable and able to enjoy their stay with us. Please reach out to me so that we find a resolution for you. Thank you so much for the great review! Please let us know if there's anything that we can do for you! Thank you for the great review! Please let us know if there's anything that we can do for you! The office and maintenance staff are the best and I love the events, run club, etc. Thank you for your great review and kind words! We are happy that you are enjoying all of our events. Please let us know if there's anything that we can do for you! Thank you so much for your kind words and great review! We are happy that you are enjoying all of the events! Please let us know if there's anything that we can do for you! The staff are what make this apartment community great! Thank you so much for your kind words and great review! Please let us know if there's anything that we can do for you! 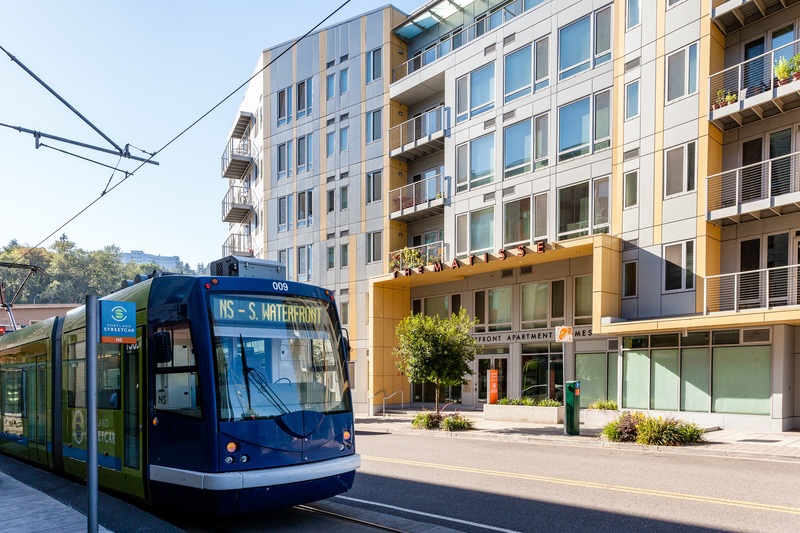 I recommend The Matisse to any people I meet who are interested in living in the South Waterfront area. IÂve loved living here, it feels safe, other tenants are friendly, and the commute for any OHSU employees is ideal! Thank you for the kind words! We appreciate your feedback! Thank you so much for your feedback! We are so glad that you enjoy The Matisse as much as we do! Please always feel free to let us know if there is anything we can do.